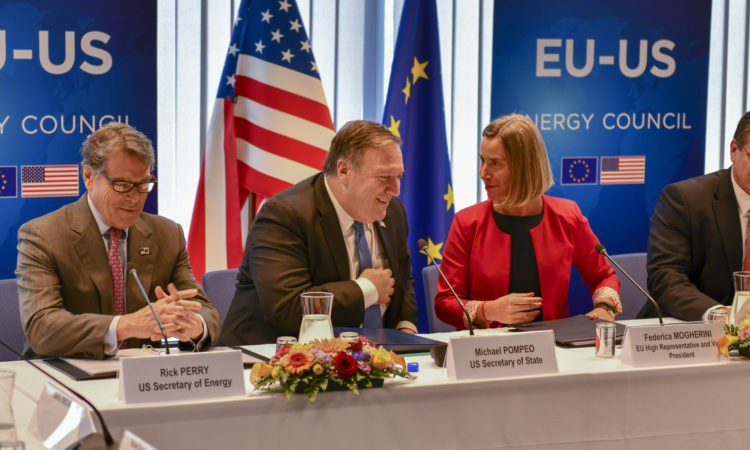 As we have seen at the Davos Forum – and more generally in the recent developments over international relations – two models compete on the transatlantic stage, especially with regards to trade. On the one hand, a return to a form of national protectionism in a unilateral approach and on the other hand, a liberal expansion enshrined in a multilateral approach. The first corresponds to the attitude of the Trump Administration and, to a certain extent, to British ambitions in the context of Brexit. The second corresponds to the ambitions of the European institutions and, more particularly, of the EU Commission, which proclaims itself the last bastion of the free-trade resistance. These two ambitions seem inadequate to the realities of the 21st century and they are part of the global systemic crisis so often referred to by the GEAB team. 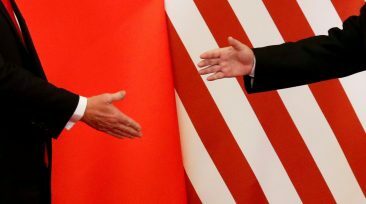 The return to protectionism led by Donald Trump and, more generally, by the less cautious of political forces, is eventually likely to contribute to serious international tensions. But at the European level, the reactivation of trade deregulation that the people rejects, puts an end to Europe’s claims on democratic principles, instead participating directly in the rise of the so-called right and left wing ‘populist’ parties. We anticipate a head-on collision between Strasbourg and Brussels once the new European Parliament gets elected in 2019. 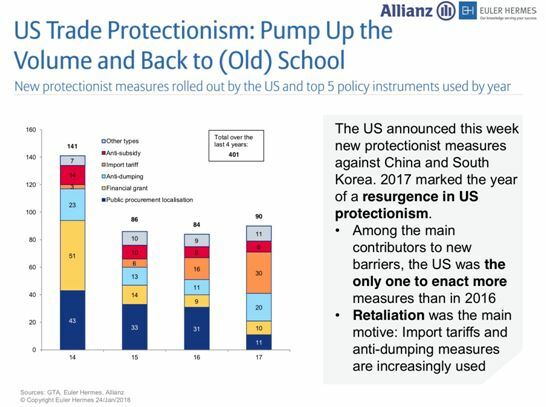 Figure 1 – Protectionist measures adopted by the United States, 2014-2017. Source: Euler-Hermes. The Trump Administration’s policy seems to open a new chapter in international trade history. The President being consistent with the candidate, the multilateralism advocated by his predecessors is now widely questioned. Not that American protectionism was born with Trump, but today it is being pushed to its limits. The Bush Administration had already been condemned by the WTO for imposing steel taxes, contrary to the rules of the organisation. 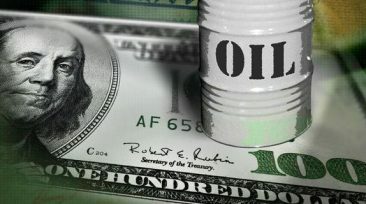 The much older Buy American Act came into effect in 1933 and required that any direct purchases made by the government should be of goods produced in the United States. Some clauses even extended this rule to third party purchases to encourage the receiving of federal funds. Hence a form of economic patriotism was enshrined in the law and reinforced by Trump via an executive order dated April 18th, 2017. Once he arrived at the White House, one of Donald Trump’s first measures was to remove the United States from the Trans-Pacific Partnership (TPP), a trans-Pacific trade deal which Barack Obama had negotiated over his two presidential terms. More recently, the US Head of State has enacted new taxes on washing machines and solar panels, a measure that appears to have a strong chance of being contrary to WTO law. As Republican candidate, he was rather hostile to this organisation and we should watch his reaction in case the US is condemned, especially as he threatened to leave the organisation at the last summit, accusing it of “mistreating” the United States. 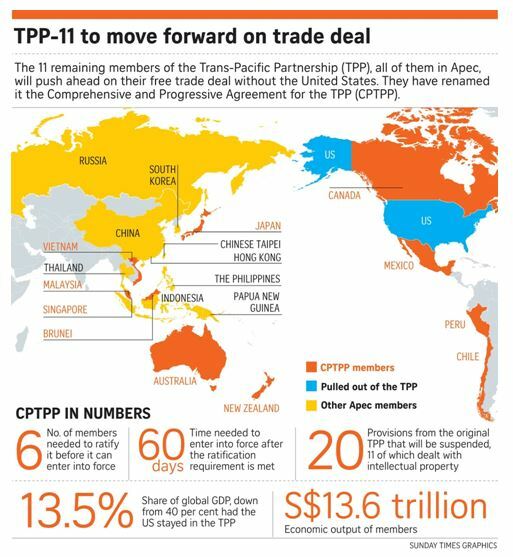 The heightening of US protectionism creates spaces in the international trade landscape – spaces rapidly exploited by the TPP members (Australia, Brunei, Canada, Chile, Japan, New Zealand, Peru, Singapore, Vietnam, Mexico, Malaysia) who relaunched negotiations soon after the departure of the United States. These negotiations seem to have been successful and will result in the formation of a new bloc with a significant weight in the global trade balance: $13.5 trillion of combined GDP (representing 13.4% of the global GDP) compared to $20 trillion for NAFTA and $19 trillion for the EU. Another global trade player has not hidden its intentions to take advantage of this redistribution of roles – the European Union. Firstly, several statements have been made to this effect, starting with the President of the European Commission, Jean Claude Juncker. In his State of the Union Speech in September 2017, he spoke of ‘the partners around the world [who] start to come in large numbers to our door to conclude trade agreements with us’. More recently, Werner Hoyer, President of the European Investment Bank said, ‘If the United States withdraws, a void will appear; which in the end is an opportunity for Europe’. Similarly, at the Davos Economic Forum, French President Emmanuel Macron presented himself as a promoter of multilateralism ‘for a new global pact’ – in marked opposition to his US counterpart, who was at this gathering to show off the merits of his ‘America First’ policy. In this new chapter of international trade history, two main models emerge and both seem inappropriate to the challenges of current times. 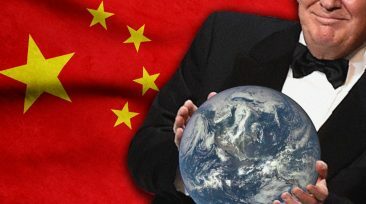 On the one hand (United States, United Kingdom, Eastern Europe…), we notice an aspiration to a return to national sovereignty and some form of protectionism, even isolation, unrealistic considering the current density of interconnections at the global level. In Brussels, the response to this trend is irrational as it aims to continue, and even to intensify, the liberal expansion that has been the axis of European integration for 30 years; something which eventually managed to derail the whole of Europe’s integration project. It is precisely this liberal expansion which is helping to provoke a protectionist and unilateralist reaction from certain EU Member States and the transatlantic axis. Under these conditions, our team anticipates the continuation of the rise of the so-called ‘populist’ parties, especially during the forthcoming elections. The elections for the European Parliament in June 2019 carry the risk of a frontal collision between the Parliament and the Commission, potentially leading to an internal blockage. The European Commission may be anticipating the vote that the 2019 European Parliament could give to its free trade agenda. Perhaps this is the reason why it is forcibly advancing on this new series of trade agreements and enlargement plans, aiming to confront the next legislation body with accomplished facts. But this work, carried out behind closed doors and outside of any democratic debate, definitely distances it from its mission as the servant of the European people.